ROBOTS, DRONES AND APPS will be able to see the world around them and recognise objects and emotions thanks to a new tool from Google. Google Cloud Vision API will allow any developer to create devices and software that will identify printed words and objects, and classify them into thousands of different categories. It can also detect faces and recognise emotions like happiness, sadness and anger. The technology is already used in Google Photos. Unless you tag a photo with specific terms like ‘orange’ or ‘dog’, a computer won’t be able to find them as it doesn’t look at the content of an image. Google Photos can recognise and pick out the main subject in photos and tag them as such. Now it’s opening up that technology to other developers to use and develop their own systems around it. 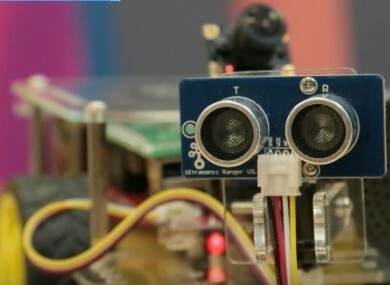 In one of the demos for the tool, a small custom robot can identify objects like money, a banana, and glasses. It detects emotions by looking at the positions of the eyes, nose, and mouth, but Google says the tool does not allow them to recognise personal identities. It already has competitors in the field like Microsoft pushing Project Oxford, its own computer vision and recognition tool that can detect emotions, recognise language and has speech recognition. Also, Facebook has been working on its own image description technology, although that is more for users who are blind or visually impaired. Email “Soon robots will be able to see the world the same way we do”. Feedback on “Soon robots will be able to see the world the same way we do”.